[S1179] Genealogy.com Genforum [http://genforum.genealogy.com], 1 Oct 2001. "The Wallis family came originally from Wilmington, N.C. Nathan and Margaret Wallis came to Moscow, Kentucky, in 1830. He owned 900 acres of land and a grist mill. He sold these and bought property near rives Tennessee in 1852." [S1179] Genealogy.com Genforum [http://genforum.genealogy.com], 27 Sep 2001. [S1179] Genealogy.com Genforum [http://genforum.genealogy.com], 18 Jul 2010. I am interested in Nathan Wallace (1850 census, Hickman Co, age 43) married to Margarett. He evidently dies before 1860 because Margaret shows up in Obion Co, TN dist. 13 with some of the children as the head of the household; she prob. dies before 1870 census. I am trying to figure out if the Isom Wallace (age 17) son of Nathan and Margarett in the 1850 census in Hickman Co. is in fact the ISHAM Wallace (age 28) in dist. 13 Obion Co, TN in the 1860 census on the same page with Margarett above but in a different household.. now married and listed as a "millright". It seems that would be true! 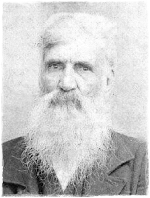 In ISHAM's household in 1860 is C. J. Wallace, age 22 and HE IS THE DIRECT LINE I have the lineage for to the present date. C. J. HOWEVER is not found on the 1850 census with Nathan and Margarett unless his real name was LEVI? From 1860 onward he is always referred to as CJ. There must be a relationship for this 22 year old C J Wallace to be living in the household of Isham Wallace working as a miller. Perhaps a brother, a nephew, a cousin? Have you found any information that would tell me if CJ is really Levi or not? I assume the Nathan Wallace in the 1850 census to be the brother of the Levi Wallace living with the Feyers in Hickman Co. Do you agree? [S1180] Ron Mitchell [rlm123@mindspring.com], 2 May 2004. My connection is in Obion County TN. My grandmother's grandfather is Nathan Wallace/Wallis. He died about 1874 in Lake County TN. (court record). Born about 1844 in KY (1860 Obion Census as Wallace). He 8 years old on the 1850 Hickman County KY census. My Nathan is 16 in the 1860 Troy, Obion, TN Census. 1870 his mom is Wallis. I have seen a tombstone for a Nathan Wallis in the Pleasant Hill cemetery, Rives, Obion, TN. Masonic symbol on top, died 1855. Next to him in the cemetery is Margaret Wallis born 1807, died 1884. Nathan is noted as "newly dead" in Obion Court Book 1-N, page 253-4, dated 29 Oct 1859. Graves County, KY 1839 Tax list has 2 Nathans living in the Clarks River watercourse, 1 male over 21, 1 black man over 16. both Nathans are also on the 1840 tax list. Nathan Wallis is named on 9 KY land grants west of the TN river 1822-1858 vol 1, page 882-3, each 160 acres Nathan Wallace Jr is on page 882.